Hope everyone had a lovely holiday! Here are some reminders and news. Enter your quilts! The entry deadline is Monday, November 30th! Click here to enter. Early Registration closes end of day on Monday, November 30th! Click here for details. If you are a current NJMQG member or a new NJMQG member and did not receive an email with the code and link, please email njmqginfo at gmail dot com as soon as possible. General registration will open on Wednesday, December 2nd at 7 pm. NJMQG 2016 Membership renewal/new membership is open! Membership dues for 2016 are $50. Click here for links and details. The December 2016 Meeting is a Holiday Potluck Party! Location is at the LDS Church, 209 Mountain Ave. in Caldwell, NJ on Thursday, December 17th. Sign ups for potluck coming soon. The Elfster Swap will also take place at the party! 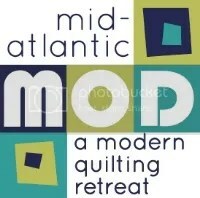 The NJMQG will have a special exhibit titled “Modern Quilts” at The Quilt Fest of New Jersey on March 3-6, 2016! The NJMQG Executive Board will need to provide a list of items that will be part of our exhibit no later than December 18th. Details to come in a separate blog post. We will be meeting in a new location in Cedar Grove, NJ starting in January 2016! Details to come.